Müller said, this referring to the Aug. 26, 2018 statement by Archbishop Carlo Maria Viganò, nuncio to the U.S. from 2011-2016. In this statement Vigano accuses Francis of ignoring the sexual misconduct of ex-Cardinal Theodore McCarrick and asked him to resign. "I am personally convinced that Pope Francis is doing everything possible to counter the phenomenon of child abuse and to foster a new spirituality for priests, who must act according to the heart of Christ and do the good of all people, especially children and young people". "I thought it was necessary for the presidency of the American Bishops' Conference to first consult with our experts at the Congregation for the Doctrine of the Faith. The Holy Father is a single person, he cannot deal with everything. That is why there are the departments of the Roman Curia, to collaborate and arrive at a well-developed proposal to bring to the Pope". 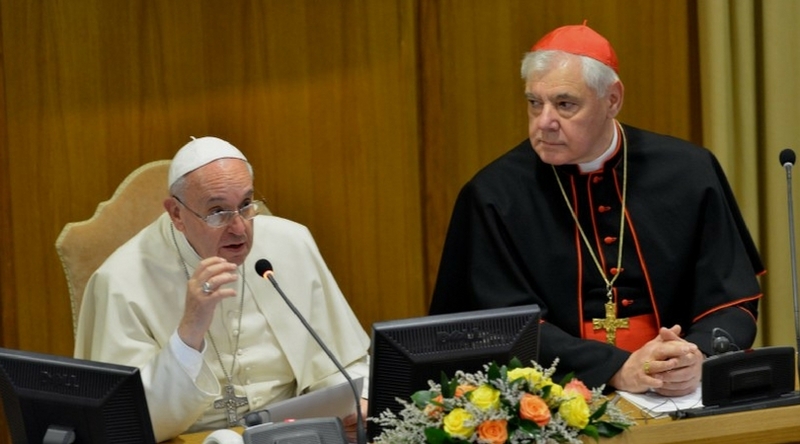 When asked about accusations that Pope Francis appoints bad bishops Cardinal Müller explained: "Even today it is possible that the Pope may appoint a person who is "false", who is not suitable for the role, for the episcopate. Jesus Christ himself, even though he knew everything thanks to his divine intellect, left freedom to the traitor Judas. Everyone is then responsible for their sin: we can, through the process of selection with the Congregations, through all our human judgments, do everything possible to elect a good candidate. But the Pope is not responsible for what these bishops then do, as the bishops are not responsible for everything their priests do. Everyone is personally responsible for the evil they commit".